Urgent repair work to tackle two landslips on the road to a North Yorkshire coastal village is set to begin next week. 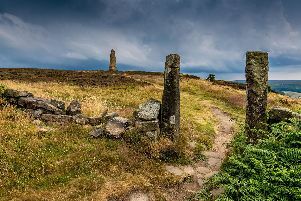 North Yorkshire County Council is to start work, weather permitting, on Monday January 21, at Stoupe Brow, Ravenscar. Repairs to the first landslip will require a full road closure and access for residents will be via the disused railway line at either Fylingthorpe or Boggle Hole. It is expected that this phase of the work will be completed by 8 February. Once the first landslip is repaired work on the second will then begin. It is expected the road will remain open for this phase of work, although because of the nature of the work, it may be temporarily blocked at certain times. County Councillor Don Mackenzie, executive member for highways, said: “This work is necessary to protect the road in the future and to make sure it continues to be safe.